Our group develops new chemical, physical, engineering, and biological applications related to nanostructured materials. Leo, S. Y.; Zhang, W.; Zhang, Y. F.; Ni, Y. L.; Jiang, H.; Jones, C.; Jiang, P.*; Basile, V.; Taylor, C.* Chromogenic Photonic Crystal Sensors Enabled by Multistimuli-Responsive Shape Memory Polymers. Small, 1703515, 2018. 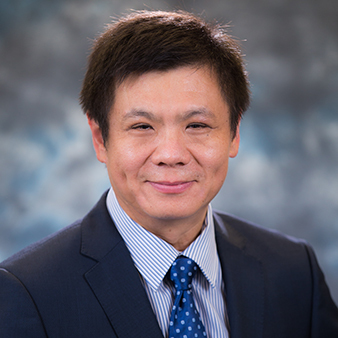 Leo, S. Y.; Ni, Y. L.; Xu, C.; Zhang, Y. F.; Dai, Y. Q.; Qi, P. X.; Xie, A. T.; Basile, V.; Taylor, C.; Jiang, P.* Programmable Macroporous Photonic Crystals Enabled by Swelling-Induced All-Room-Temperature Shape Memory Effects. Advanced Functional Materials, 1703522, 2017. Fang, Y.; Leo, S. Y.; Ni, Y. L.; Wang, J. Y.; Wang, B. C.; Yu, L.; Dong, Z.; Dai, Y. Q.; Basile, V.; Taylor, C.; Jiang, P.* Reconfigurable Photonic Crystals Enabled by Multistimuli-Responsive Shape Memory Polymers Possessing Room Temperature Shape Processability. ACS Applied Materials & Interfaces, 9, 5457-5467, 2017. Kothary, P.; Dou, X.; Fang, Y.; Gu, Z. X.; Leo, S. Y.; Jiang, P.* Superhydrophobic Hierarchical Arrays Fabricated by a Scalable Colloidal Lithography Approach. Journal of Colloid and Interface Science, 48, 484-492, 2017. Fang, Y.; Ni, Y. L.; Leo, S. Y.; Taylor, C.; Basile, V.; Jiang, P.* Reconfigurable Photonic Crystals Enabled by Pressure-Responsive Shape-Memory Polymers. Nature Communications, 6, 7416, 2015.